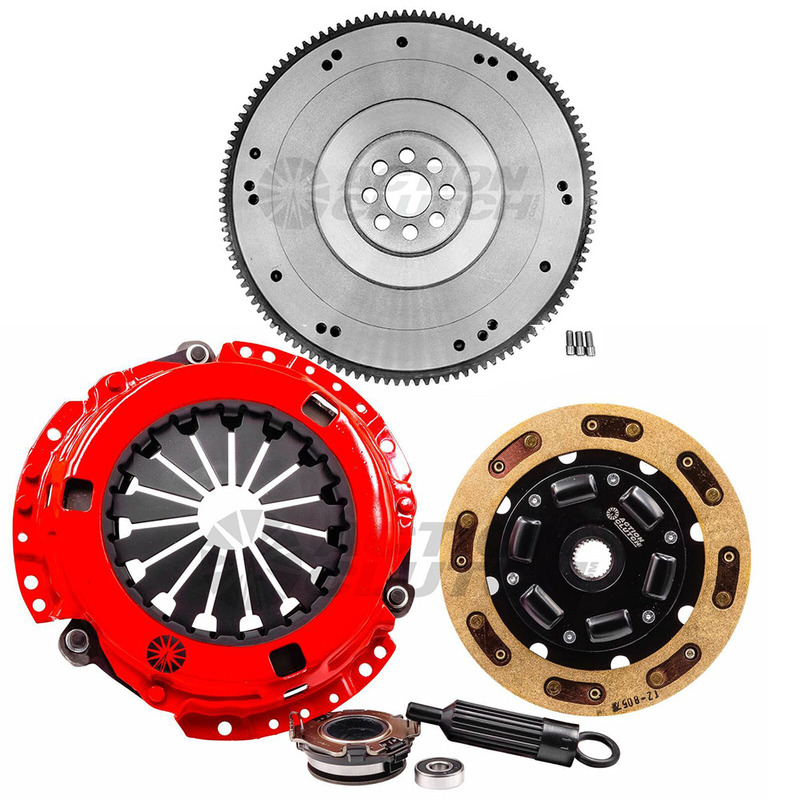 Get one of the highest quality clutch kits at insane pricing. Engineered for stock replacement applications. Slight increase in pedal pressure, smooth/linear engagement, and an extended wear life. Engineered for naturally aspirated vehicles with bolt-ons who encounter heavy-duty street use. Features a slight increase in pedal pressure, smooth/linear engagement, high resistance to heat, and the longest wear life of any clutch in our lineup. Engineered for high horsepower naturally aspirated vehicles who encounter heavy-duty street use and weekend racing. Features a substantial increase in pedal pressure, smooth/linear engagement, high resistance to heat, and the longest wear life of any clutch in our lineup. Engineered for moderate horsepower forced induction vehicles who encounter heavy-duty street use and weekend racing. Aggressive engagement, rapid heat dissipation, and outstanding holding capacity. Engineered for high horsepower vehicles that encounter heavy-duty street use and frequent drag/road/drift racing. Action clutch is on sale! Save an additional 5% off our already low pricing. Tons of action in stock on our shelf!